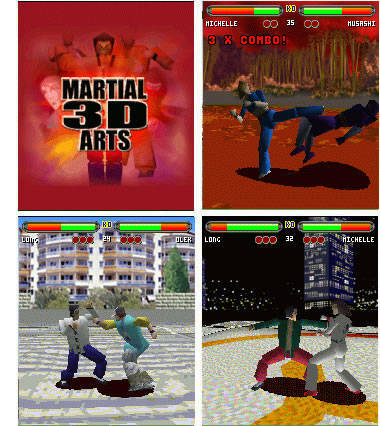 Free download Martial Arts 3D latest version for Symbian. It is a one-to-one fighting game for Symbian based mobile phones developed by Synergenix. This game is a gift for those people who like martial arts. Installing this game on their mobile device they can fulfill their desire. This game has three types of championships. You have to fight your way through these to become a champion. You can also unlock the hidden bonus mode. Martial Arts 3D offers multiplayer mode via Bluetooth so you can challenge your friend in this multiplayer mode. The game has five character players with different fighting styles. You can select any mode from “Single Fight”, which allow you to fight with an opponent of your choice, “Challenge Mode”, which has three difficulty levels with different fighting missions and the 3rd is “Versus Mode”, which allows you to fight you with your friend using Bluetooth as multiplayer mode.